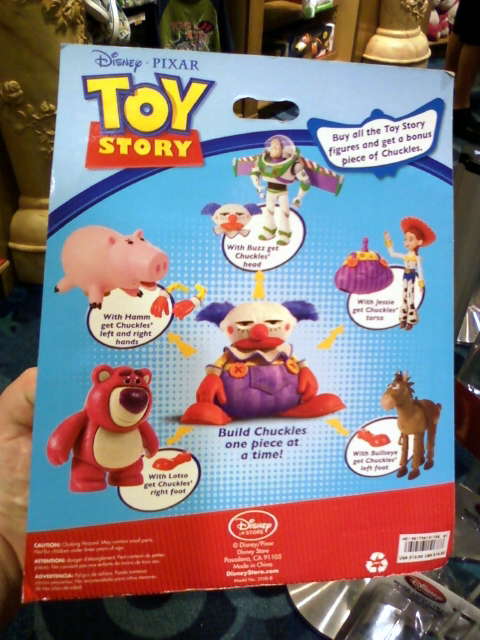 Disney Stores have a new exclusive set of their Toy Story action figures that include a Build-a-Figure promotion that will allow you to build Chuckles when you collect all five action figures. These are not the Mattel Toy Story figures. These are the Disney Store's own, unique toys. These figures were previously available in a large boxed set. 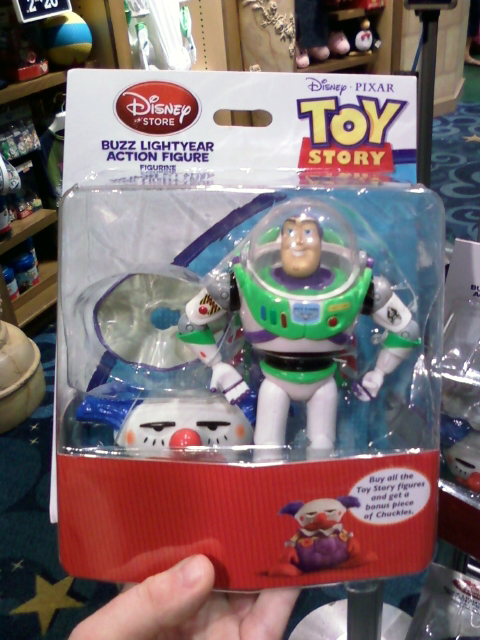 This first series includes Buzz Lightyear, Hamm, Jessie, Bullseye, and Lotso. It's interesting that Woody is absent from this set. Perhaps Disney is holding him back to anchor a potential second series.